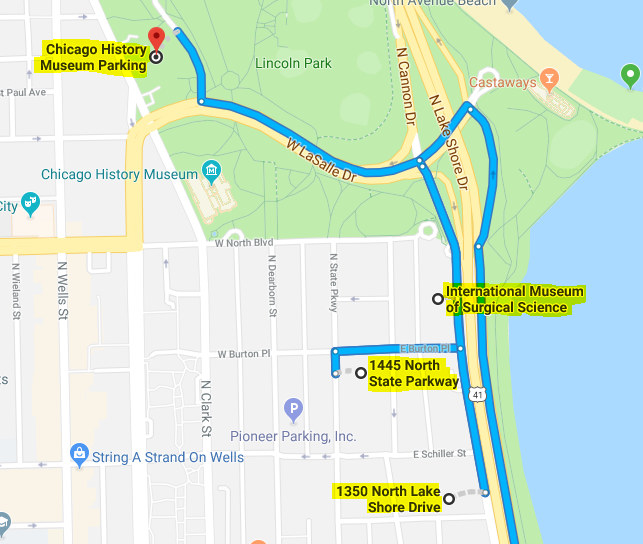 The International Museum of Surgical Science, located at 1524 N Lake Shore Dr., Chicago, IL 60610. There is no parking at the building; however ample discounted parking is available in 3 locations within a few minutes' walk of the Museum. Retrieve a discounted validation voucher/stamp at the Museum box office to present to the parking attendant upon exiting the lot/ramp. Validation will be available during graduation and is most affordable behind the Chicago History Museum at $9 with validation. The other two closer locations are $15 with validation.